In the snowboarding world, Jeremy Jones is as well-traveled as any. 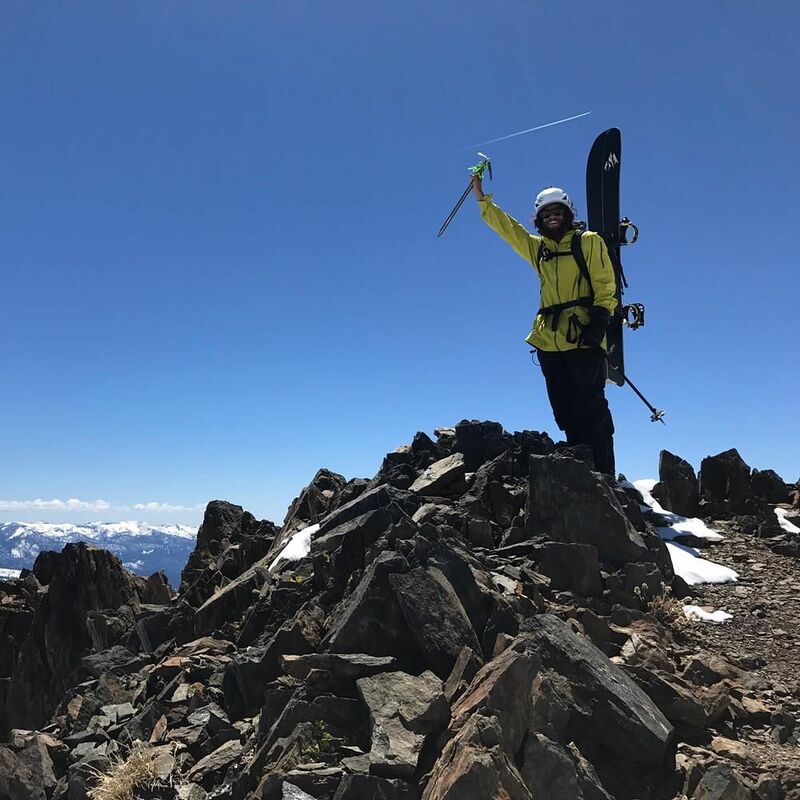 He’s known for riding steep, big-mountain lines deep in the backcountry — the type of riding that has dominated ski and snowboard films in recent years and in turn produced a sort of cult following of modern-day backcountry enthusiasts. His film trilogy Deeper, Further, and Higher took him around the globe multiple times in pursuit of first descents on gut-wrenchingly tough mountains. They stand not only as perhaps the sport’s truest display of mountaineering, but as a collection of how far snowboarding has come since its neon-clad days, back when only a handful of resorts even saw it as a legitimate activity. Snowboarding grew from the underground and exploded very much like punk rock did in the nineties, with big names continuing to draw attention to its progression. What separates Jeremy Jones is that while he’s built star power on the mountain, what he does off the hill may stand as an equally important part of his legacy. He’s eschewed the glitz and glamour of snowboarding’s wild side for the role of ambassador for global good. I’ve been a fan for years and don’t recall ever seeing a photo of Jeremy standing on top of a podium spraying champagne over a crowd of screaming teenagers. He’s always embodied that DIY, pursuit-of-passion ethic that snowboarding was built on. For him, it’s been about taking care of the mountains he loves so dearly. In his travels, Jeremy has seen favorite spots show devastating impacts of climate change. He formed Protect Our Winters, a non-profit focused on educating and engaging those passionate about winter sports, in an effort to mobilize the community he’s inspired through his riding. Along with the team at the organization and a collection of top riders, Jeremy has turned this initiative into a force to be reckoned with — lobbying politicians, hosting community-driven events, and speaking directly to students in schools across the country. He also speaks to journalists at trade shows, some trying as hard as they can to keep it together and not have a “fan-boy” moment. Here’s our conversation from the Outdoor Retailer and Snow Show in Denver. How has travel shaped your vision of the world, and of your place in it? In Chamonix, there’s this whole deal where they have this run off the main tram that’s down the glacier. Where the glacier ends, they built the train. As the glacier continued to recede, they built a chairlift from the end of the glacier to the train. I was going there, and obviously, glaciers recede. What was alarming is that they have a line in the dirt of where the glacier was the year before, and the year before that. The first time I went there was in ’96 and it was a forty-minute hike to get to the chairlift. Now it’s an hour and a half hike. It’s a very in-your-face scenario. When did you decide to start Protect Our Winters? Over ten years ago, I was in northern Canada at an old ski area where I’m friends with some locals. We were walking around, it was offseason, and they were telling me about how they grew up there, showing me where their jumps used to be, the restaurants on the hill, and their favorite spots. I asked why none of it is open anymore and they told me that it’s because it doesn’t snow there anymore. These people weren’t that old. It’s crazy, they lost their ski area in a very short period of time. The climate is changing at an accelerated rate. This was in 2004 or 2005 and I remember thinking, “Good thing I don’t have these issues where I live.” Fast forward to today. I live in Truckee and Squaw Valley is my home mountain, and there we call (the chairlift) KT-22 “The Mothership.” People plan their migration (to Squaw Valley) on when that lift is open. Three out of the last four years, that lift has either not been open or barely been open for short periods of time. The fact is that before, even on a below-average winter, the lift opened. Now, we get super excited when KT opens, that means it’s a good winter. You’ve talked in your films about your love of Alaska, and how you decided at a young age that you would be there to ride every spring. What was it that hooked you? As that trip evolved, it became apparent that you can do things here that you can’t do anywhere else due to how perfect the mountains are and how perfect the snow is. Is travel different for you now than it was 20 years ago? I built my life around Alaska. Over the years, I’d have a travel budget, and I’d spend all the money and go to Alaska and spend six or eight weeks there. I’ve never been a “chase the snow” person. I like to get in tune with a spot. If a spot has the right snowpack, I’ll go and spend a bunch of time there. I continue to be of the mindset that if I’m going to travel, make it count. For business, snowboarding and photo shoots and stuff, the films pulled me at times and had me traveling more than I wanted to. Ten years ago, I did one or two trips a year and they were a month long each. For the last four years, it’s been almost no travel for snowboarding because I’ve been hyper-focused on my home range. Although my wife would tell you I’m gone all the time because the Sierras are 400 miles long. These days I have more control and am able to say no to trips. I have to do sales meetings and trade shows, but I defend February-May on my calendar. Who do you look up to these days, and who are you stoked on? I’ve always looked to people older than me who are doing it right, with the work-life balance, the healthy lifestyle, who get out in the mountains all the time. What are they eating? What’s their morning routine? Just asking questions. Along those lines, Jim Zellers has played a mentor role in and out of the mountains for me. Doug Koombs early on, we just studied Doug and how he went about everything. As far as younger guys, it’s funny because I’ve realized that since I snowboard five or six days a week, I always have to be in with the latest crop of 25-year-olds whose lives are set up to go snowboard every day. Conrad Anker is someone I’ve become friends with, and I was talking with him and saying how I always seem to be riding with these 25 to 30-year-olds because once 30 comes, they move on with their life. Nick Russel, Ryland Bell, these are guys that I naturally end up spending a bunch of time with. To steal a question from Tim Ferris, what are you better at saying “no” to these days? Or is there anything you just don’t want to deal with anymore? For one, I’m just way better at saying “no.” I know that if it’s a “maybe,” that means it’s going to be a “no” when it gets closer. So, instead of having five emails and this soft deal, if you ask me to do something I’ll think about it and then come back and say “no.” If it’s not a screaming “YES,” it’s a “no” for me now. Yeah. One thing on travel in general. It’s easy to point at the footprint of travel and say it’s bad for the environment. But I think we’re in this mess right now in the US because we have people that haven’t left their hometown. I am a student of the world, it’s shaped me as a human being. You start understanding that we are all connected. Politicians don’t like losing their jobs. It’s sad that climate change is a political issue but it is. Us polluting hurts people around the world, and vice versa. It’s very tough to gain that perspective from your hometown, and we need that one-world perspective more than ever. It’s all hands on deck right now. Responsible travel is important. Go see the world! More like this: Why would I learn to snowboard?